?The president is exploring the mechanisms to remove security clearances because they?ve politicized, and in some cases monetized, their public service and security clearances,? White House Press Secretary Sarah Sanders said on Monday. Her statement should worry every American. Let?s ignore for the moment the fact that two of these people don?t even currently have a security clearance (um, does no one bother to be accurate at all anymore? Or is there an ulterior motive? ), and we can debate the merits of former intelligence chiefs retaining their clearances another day. I am very concerned about the future of the Central Intelligence Agency and other intelligence bodies. We want to attract the ?best and the brightest.? I remember that phrase being repeatedly used as I went through orientation at the CIA. It?s already a leap of faith to join the CIA: you must go through an invasive security clearance process (including the dreaded lie detector test), all your honors are quietly made, you can?t tell your friends and neighbors about your great job, and it?s not an easy one. Yet smart people join year after year wanting to help their country on its critical intelligence mission and perhaps (and hopefully) they have a love of adventure. 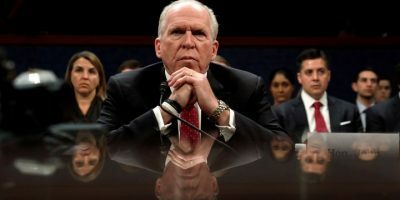 Perhaps people in the intelligence community have been able to shrug off the barrage of criticisms leveled against them by President Donald J. Trump, but the latest attack, the threat of revoking the security clearances of those who have said things he does not like, is far more worrisome. If your security clearance is revoked and you work for the CIA, you have almost no recourse, and you have no job. Let?s be clear; the Executive Branch has complete power over security clearances. And, also clear, the decision to deny or revoke someone?s security clearance is not judicially reviewable if it is a matter of national security. Therefore, you can have your clearance taken from you, never know why, and not be able to dispute it. Whistleblower protections that are available for other members of the government are not available to many members of the intelligence community. So, if you are who the CIA wants to recruit, smart and capable, who analyzes matters and thinks things through, are you eager to join the CIA right now? If you are a minority, or Muslim or Hispanic, are you eager to join? This is not an entirely new problem. Trump did not create it. He has just made it even worse. After 9/11, Muslims who worked for the government, experts in aviation, and physics, had their security clearances revoked without any recourse to the courts. The Supreme Court has indicated that there might be a possibility of review when the Constitution has been violated, but so far no such case has been successfully brought. When I advise my students who are interested in government positions about their hesitations during the Trump administration, I tell them we still need good people working in the government. We want people with different voices, backgrounds, and ideas who can disagree and think a problem through. But if you really need a job and the money, and you don?t agree with everything Trump says, he has signaled that you may want to look elsewhere. And that is terrifying since we do not want an intelligence service that only sees things one way. Maybe the Hollywood movies and television shows that glorify working at the CIA will keep recruitment up, but I?m worried, and you should be too. National security is not a joking matter.